Spy & Track Text Messages. Read every SMS messages’s sent and received on the target cell phone. Get the sender or recipient of text messages. Get messages sent or received. Get date and time of all the messages. So, what is the best messages tracking software? 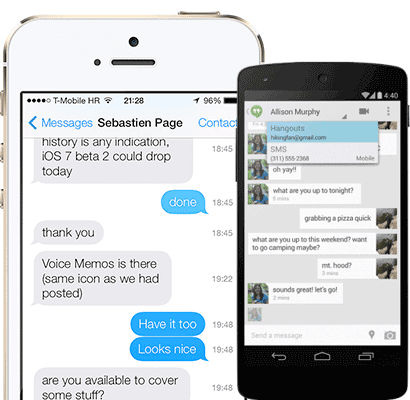 SpyToApp help you monitor text messages on Android cellphone. This is the best application of tracking SMS or text message. 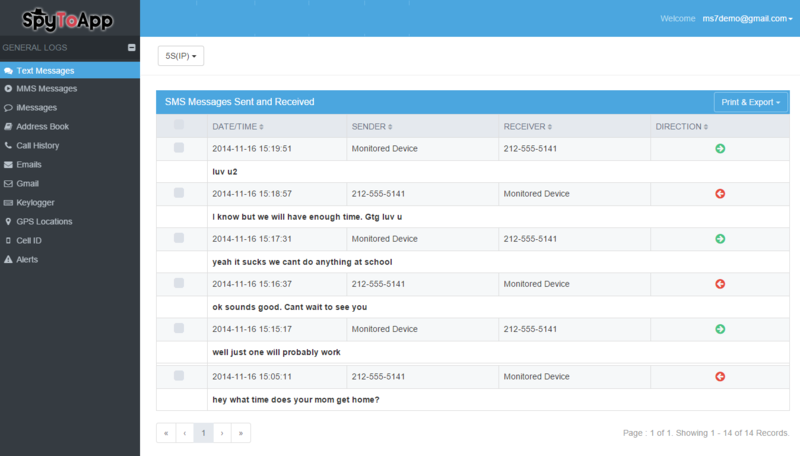 SpyToApp is one of the best SMS tracking software I have ever used. Working as a stealth SMS monitoring product makes it perfect for parent to track all the activities on their children’s mobile phone as well as employees’ to make sure that all smart devices the company gave are used only for working purpose. It is 100% undetectable and runs in industry terms full stealth mode. It is great that the text message tracking software SpyToApp allows you to track time history and GPS location on target phone. The GPS real-time tracking is very important if your smartphone goes missing or is stolen. If your phone just goes missing, you can find it somewhere or even in your house. On the other hand, if it is stolen, real – time tracking will allow you to get the lastest time of the device. You can get law enforcement to be assisted to find your phone by following the current location.